The fort became the foci where Hispano, Euro-American, and the various Plains Indian tribes, of which the Cheyenne, Kiowa, Arapaho, and Comanche were the most prominent, interacted. 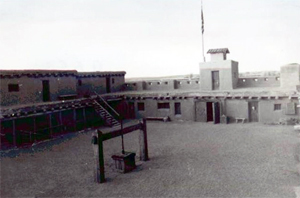 The reconstructed adobe fort on the historic site dates to the mid-1970s. The property is associated with the Historic Resources of the Santa Fe Trail, 1821-1880 Multiple Property Submission.